You can’t go very far in North Cyprus without seeing its wonderful olive trees. In fact, they are one of the most familiar sights in the Mediterranean. Sadly, due to construction and improvements in infrastructure in recent years, many of them have disappeared, so I was delighted with comments from the Agriculture and Natural Resoucres Minister that next year he’s planning to start a project to plant 100,000 local olive trees. Many olive trees are centuries old and famous enough to have been talked about in Homer’s Odyssey, the Bible, and the Koran. The symbol of the olive leaves and branches have traditionally been associated with peace, wisdom, purification, fertility, glory, and abundance. Historically, olive oil was considered to be sacred, being used to light the flame at the Olympic Games and for anointing royal families and famous athletes. Olives and their oil have long been known for their many health benefits and the famous, healthy Mediterranean diet includes regular amounts of both. Olive leaf extracts are used in teas and natural herbal medicine for many ailments because of the powerful anti-bacterial, anti-viral, and energy-giving properties. 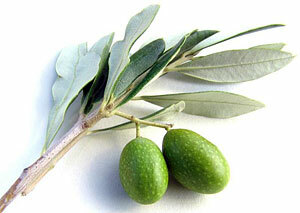 Olive trees are cultivated for its oil and leaves, olive fruit, fine wood, and also fire wood. The waste products from olive plants are now being considered for use as a renewable energy source because the wood produces 2.5 times the energy than burning the same amount of wood. Nowadays we’re striving to have a cleaner environment and olive waste is ideal for this because the smoke released apparently has no negative impact on our surroundings. And because we tend to use all parts of the tree, we need to replant what we take from the environment to ensure the survival of this ancient and valuable species. I’ve tasted olives from many countries, but I have to say that the olives from North Cyprus are the best. And if you haven’t yet tried çakızdez – cracked green olives with garlic, lemon, and salt – you really should. They make an ideal meze or just something to nibble on while you enjoy a glass of wine on the patio watching the stunning Cyprus sunsets. Ohh and there is also olive leaf burning tradition of Turkish Cypriots! This web page is served on 18 April 2019 at 22:08:22.